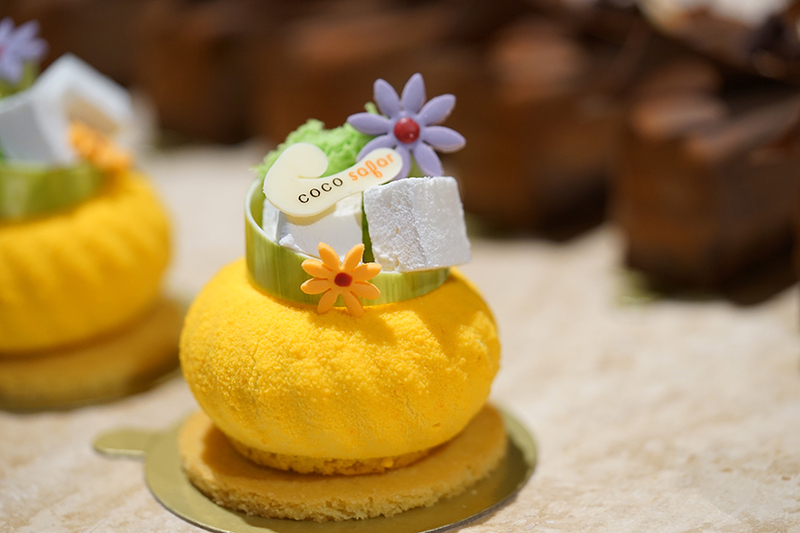 With a pastry counter, chocolate shop, rooibos brewery and some of the best coffee in the world? 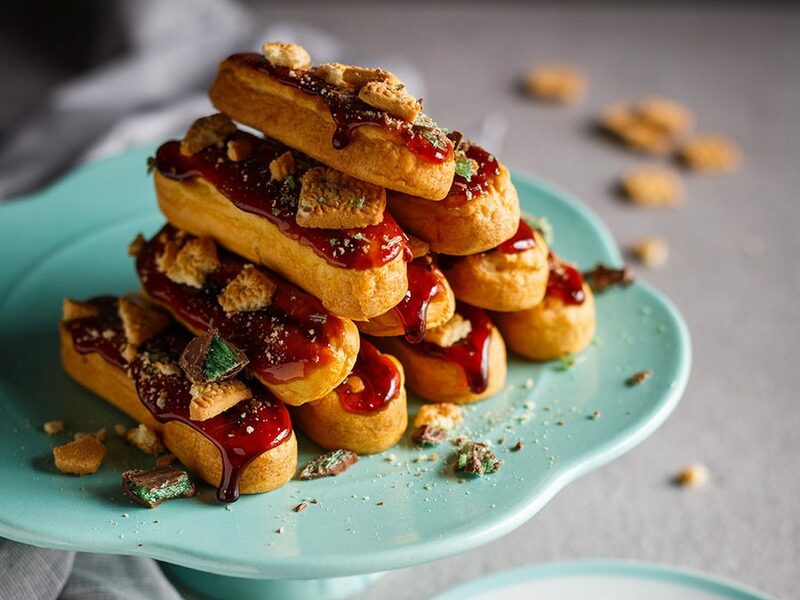 Welcome to dessert wonderland! 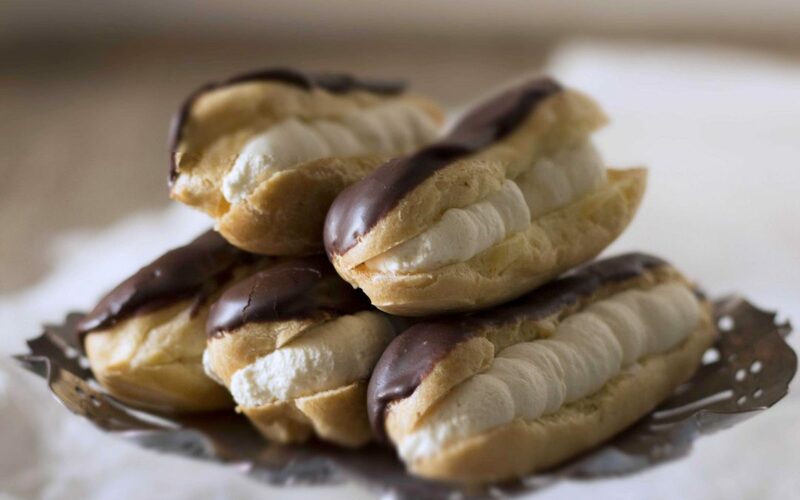 The perfect eclair recipe stuffed with a South African classic – peppermint crisp chocolate, tinned caramel and coconut Tennis biscuits! 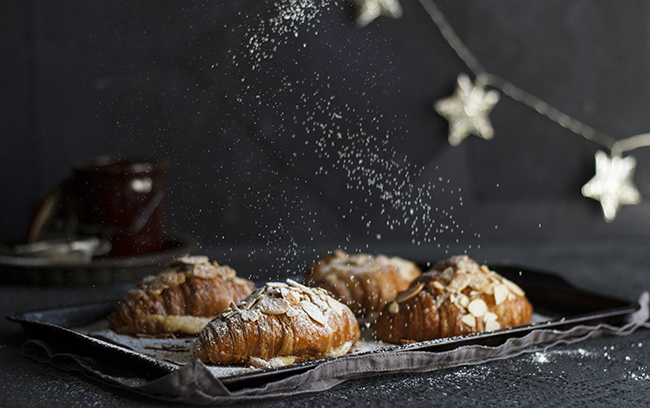 Fancy up store-bought croissants for Christmas breakfast by using a secret pastry chef’s have been keeping for years! 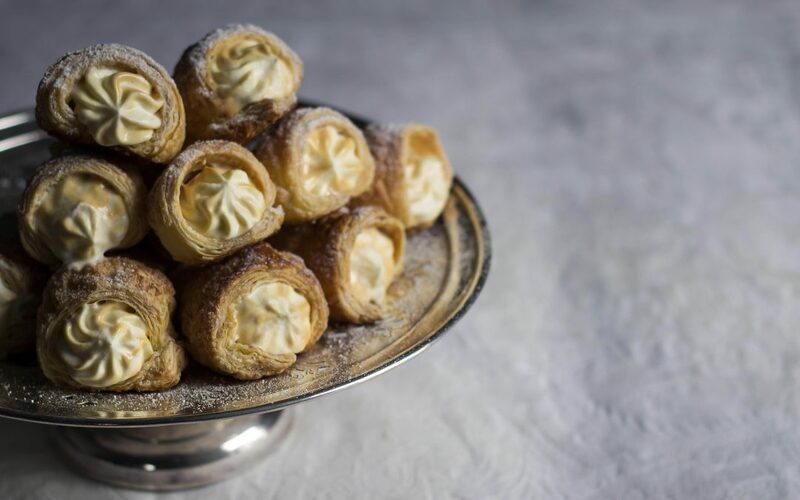 You’ll need: puff pastry, tinned caramel, cream and sugar PLUS I’ve got a handy hack if you don’t have cream horn moulds! 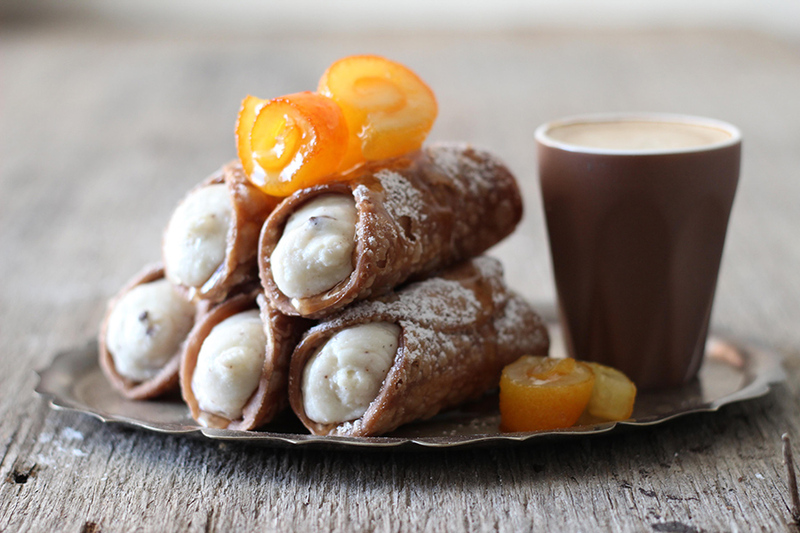 You haven’t lived until you’ve devoured a plateful of these freshly fried pastries with light fluffy ricotta filling!